The wait is over and it seems Kimye went in a different direction (da dum tss!) with this name. The name of baby Yeezus, born on Saturday December 5th, was announced as…. 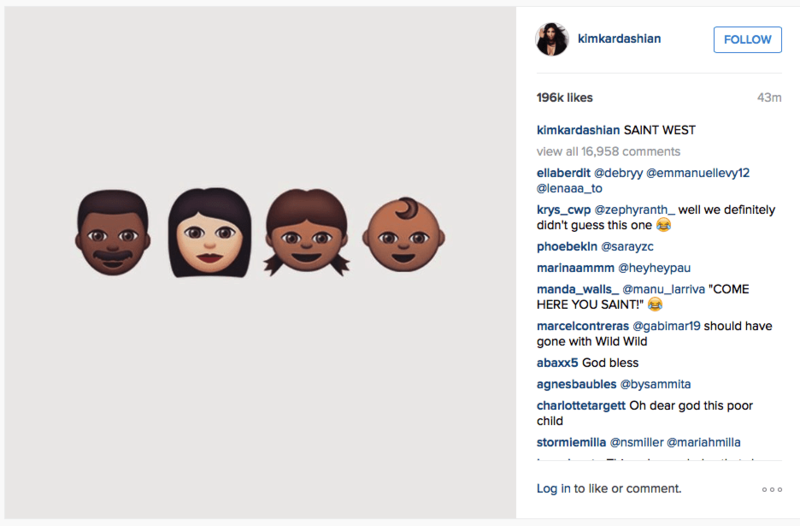 After 2 days of mystery, Kim posted a picture of emoji’s on her Instagram and Twitter with the name. Hey, its better than North. Or is it..? The little guy was born at 8 pounds 1 oz and baby and mommy are said to be healthy and well. Congratulations Kim K and Kanye!